It's a rather sparsely populated chart. 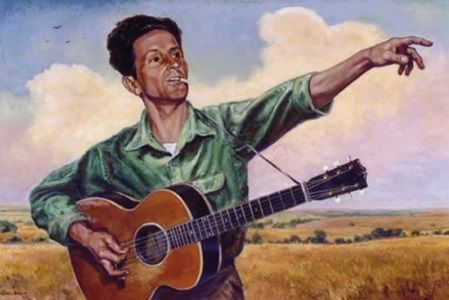 Ok, there’s only Woody Guthrie. But I’m pretty sure he’d still be No.1 if I owned every album that was ever released in 1940. An RCA Victor recording producer, R. P. Weatherald, approached [Alan] Lomax about making some recordings for Victor. Woody was with him and Alan immediately pointed to Woody and said, “Here’s your man — record him.” It was Alan’s expression of his appreciation for Woody as a performer and a folk artist…. He saw in Woody the perfect, but not unique, example of the cross fertilization of Ozark culture with Southwestern culture as modified and adapted by parts of Texas and Oklahoma. Woody was the most talented and prolific of known folk poets. 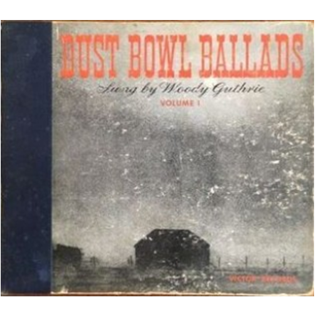 These recordings were Woody’s first commercial effort, and they are, with the exception of some imaginative exaggeration, an accurate historical depiction, through music, of the Dust Bowl. It is doubtful that any historical period has had comparable folk response.